At the heart of everything we do, our PGA Coaching Centre boasts two double bays and one single tech bay providing the ideal location to learn the game and fine-tune your golf with our experienced coaching team. TrackMan technology provides you with the most accurate feedback in the industry. The TrackMan numbers are divided into 2 main categories; ball flight data and club data. 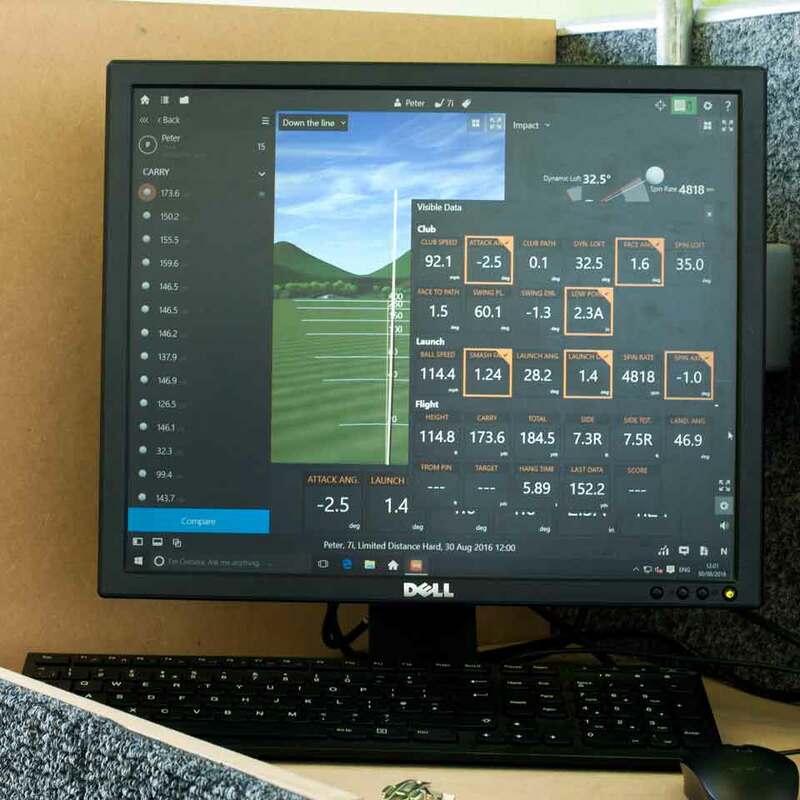 Knowing your TrackMan numbers is essential to understand and improve your golf swing. 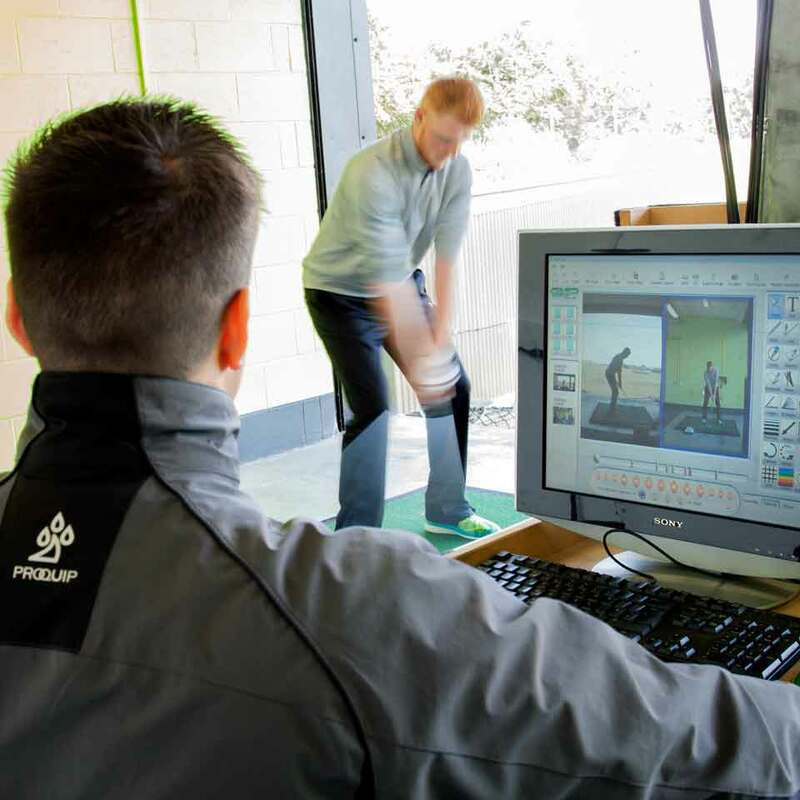 The Industry standard for PGA Pros providing high quality computerised video swing analysis. Being able to put precise angle measurements to spine, arm flex & general posture positions, means no more guess work & only accurate improvement monitoring from here on in. K-Vest is an all-in-one wireless system that instantaneously measures players’ power signatures and 3D data. The system that assesses player characteristics and generates insightful reports. The system that automatically flows those reports into a powerful coaching and training program builder. Your golf can only be as good as your body allows it to be. 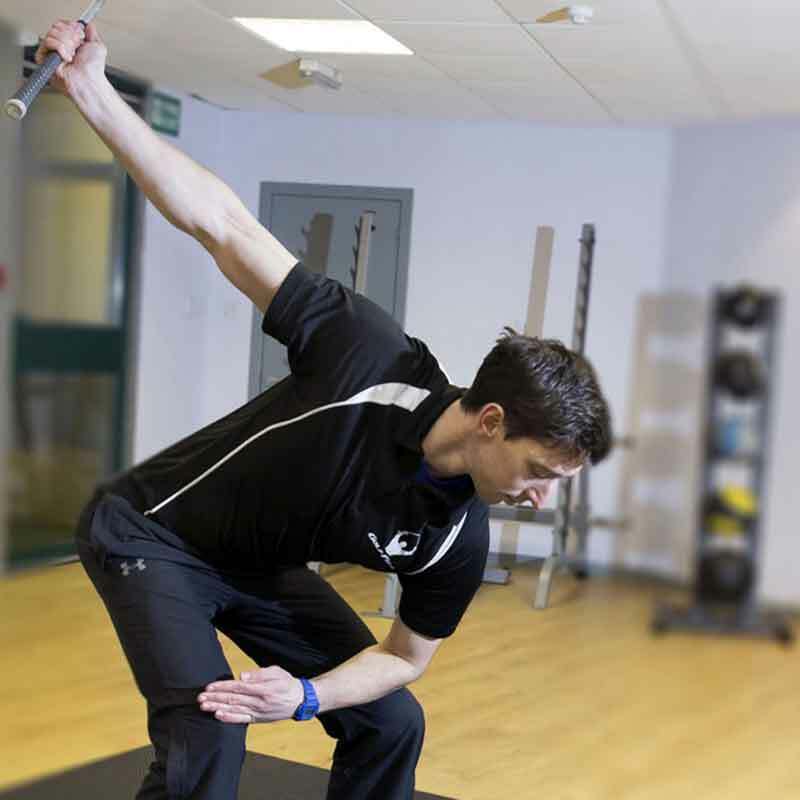 Our golf-specific fitness partners can identify weaknesses in mobility, stability, balance and power allowing them to design and implement and individual programme to target these areas. Our large USGA specification green is surrounded by a wide choice of chipping and pitching areas plus a full size bunker. 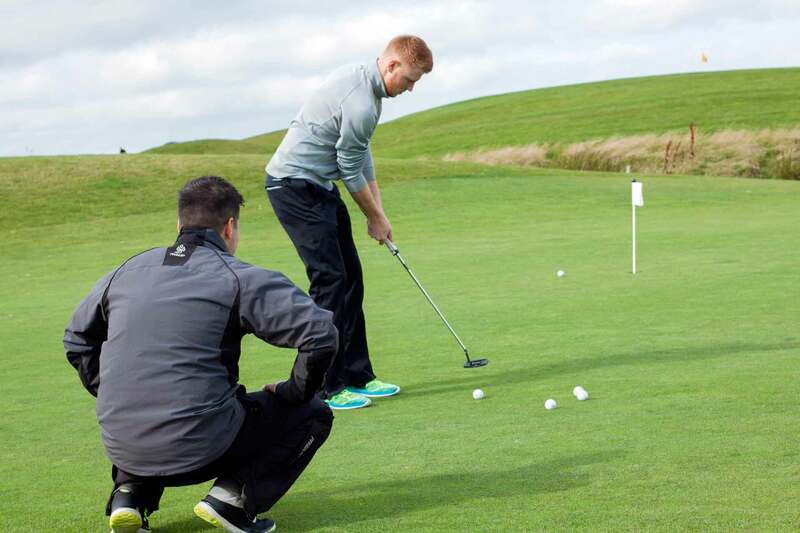 Around 80% of golf shots are played within 100 yards of the green, and almost half of these with the putter, which makes the short game facility the ideal place to work on reducing your handicap. 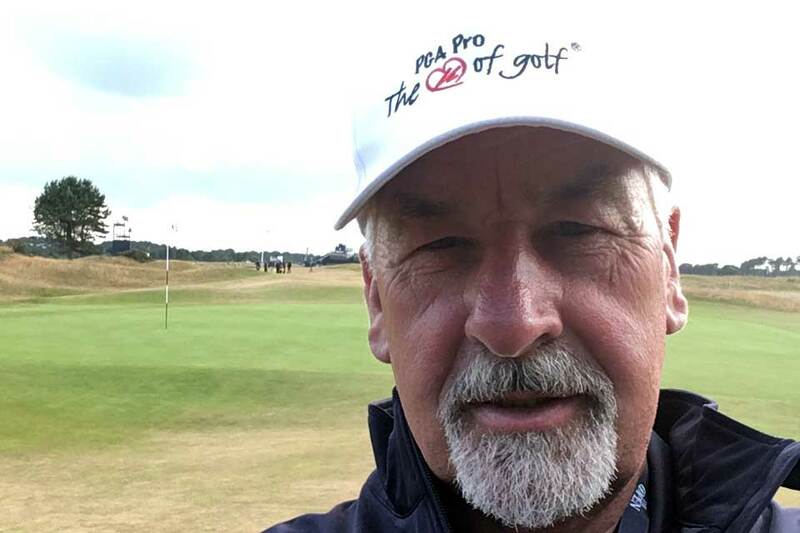 Tim brings with him a wealth of experience, having coached all over Europe with the distinction of working for the late John Jacobs at Delapre Golf Club. 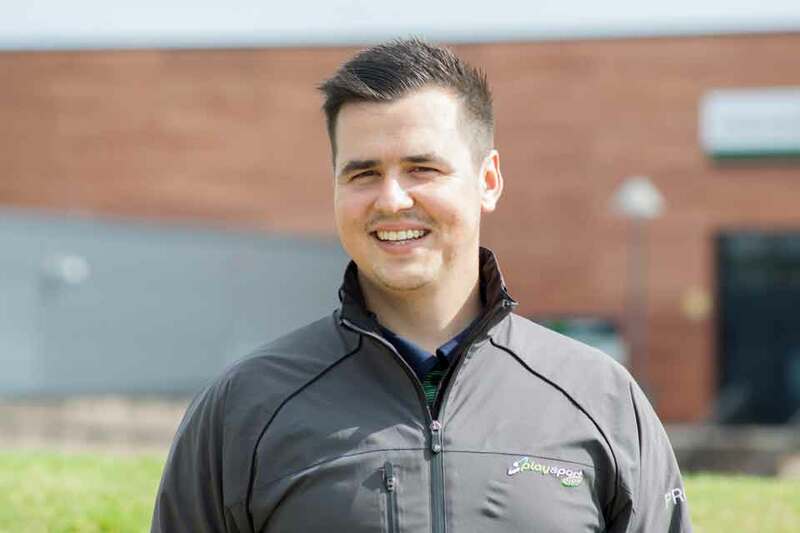 With a Masters Degree in the Science of Sports Coaching, and Applied Biomechanics from London South Bank University, Tim is one of only fourteen professionals in the country who lecture for the PGA Golf Swing and Sports Science Degree course. He offers his students the best possible coaching and development opportunities with the use of MySwing 3D, Sam Balance Lab, TrackMan and SAM Putt Lab. Peter started playing at the age of six going on to represent Lanarkshire in the Fairhaven Trophy at Lytham St Annes. Having decided against offers of American scholarships, Peter started working at Playsport Golf and turned pro in 2011. Throughout his four year PGA Degree Course Peter cut his teeth coaching the juniors and has developed this into the very successful Junior Academy programme we now offer. Peter prefers to work with each individual players capability rather than applying a one swing fits all attitude and keeps his lessons as simple as possible. Peter still holds the course record on our Heritage Links course. Bob qualified as a PGA professional in 1976. He became a regular on the Tartan Tour and in 1982 won the Scottish Assistants Championship and followed this with the course record at Nairn Dunbar. 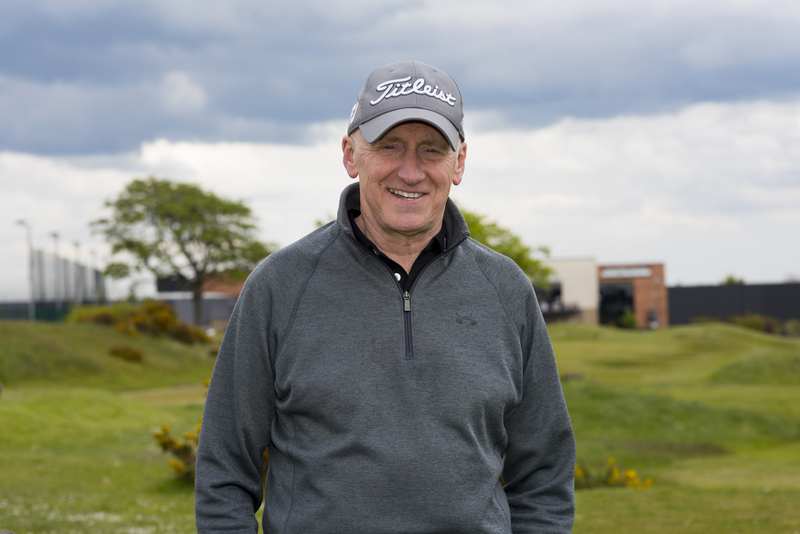 In 1999 Bob turned to coaching full-time and since 2003 Bob has been coaching through the Dumbartonshire Golf Union, helping young up and coming players from the 22 clubs in the county. Bob taught at some of the remotest clubs on the mainland/western isles when he was the Roving Pro for the Scottish Golf Union and has a great reputation in helping young players take the important steps in developing their games to becoming performance players. Bob brings his 40 years of experience to Playsport to help golfers of all ages and levels to become better players and enjoy their golf. 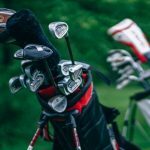 Our PGA professionals provide you with the opportunity to learn the game and fine-tune your golf using the most advanced coaching technology available. From beginner to advanced, whether you’re after a quick fix or a structured long-term development programme, our lessons cover all aspects of the swing and whole game from driving to putting. Chipping, pitching, putting and bunkers – work on your game around the green and see your scoring improve and handicap tumble! Stay on for as long as you wish after your lesson to practice. 60 min. playing lesson followed by two half hour sessions on the short game or in the studio, this popular package is great for overall game improvement or as a gift. Ideal pre-season preparation or mid-season rescue! Overall assessment of your game and course management with a 9-hole playing lesson followed by 4 x 30 min. 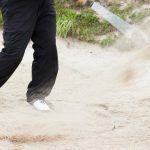 lessons to work in detail on the weakest points of your game. 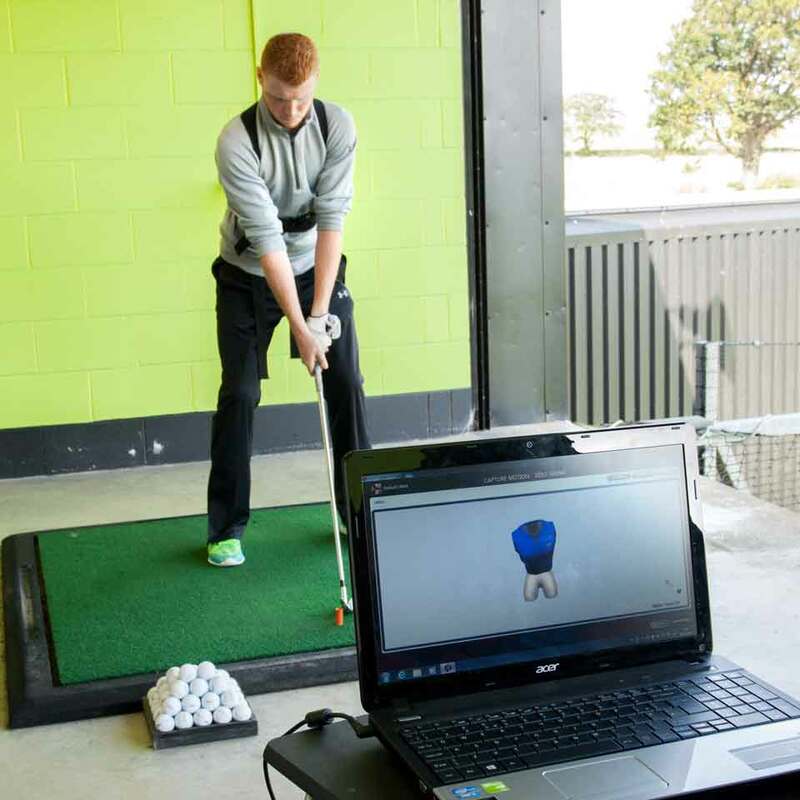 The best way to get you started with coaching at Playsport Golf is an Assessment Session with one of PGA Professionals. Lasting up to 60 minutes, this comprehensive swing and ball controll evaluation allows our pros to get a better understanding of your strengths and weaknesses and enables them to tailor a specific development programme for you. Please note: All individual lessons and lesson packages remain valid for six months from date of purchase, we do not provide extensions to validity periods. 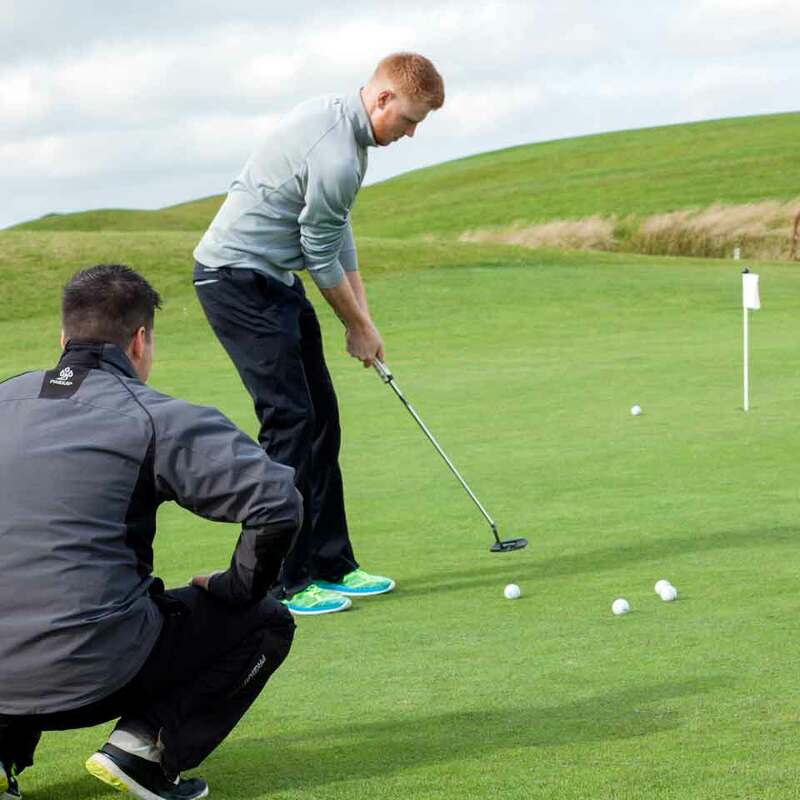 Our group coaching sessions are an ideal way for beginner golfers to start improving their game and for more experienced players to practice under the watchful eye of our PGA coaching team. Group coaching sessions include 100 balls and are available on a pay-as-you-go basis at £10 per session. Mondays & Thursdays at 8pm. Our Playsport Golf Junior Academy is open to all golfers from age 8 onwards however, dependant on ability and enthusiasm, it is possible to join a a younger age at the discretion of our professionals. The Junior Academy Programme is charged at £45 per month and is payable via direct debit. To join simply register with reception and pay your first month to activate your membership immediately and enjoy! - Call us on 01355 575980 to find out more! Our gift vouchers are available to purchase from reception or over the phone and can be redeemed against all Playsport Golf products and activities, plus within the onsite American Golf superstore. Please note: All vouchers sold have a strict validity period of six months from date of purchase - no extensions given.